DotLoop is a young, up-and-coming tech company that has enjoyed explosive growth, which required them to double the size of their offices in Historic Longworth Hall. They are a very diverse group, and we conducted programming interviews to determine the needs of each of their departments, ranging from their sales team to their engineering support team. We then helped them organize and optimize the interaction of each group on three stacked levels in the building, connected by a sculptural open stair. 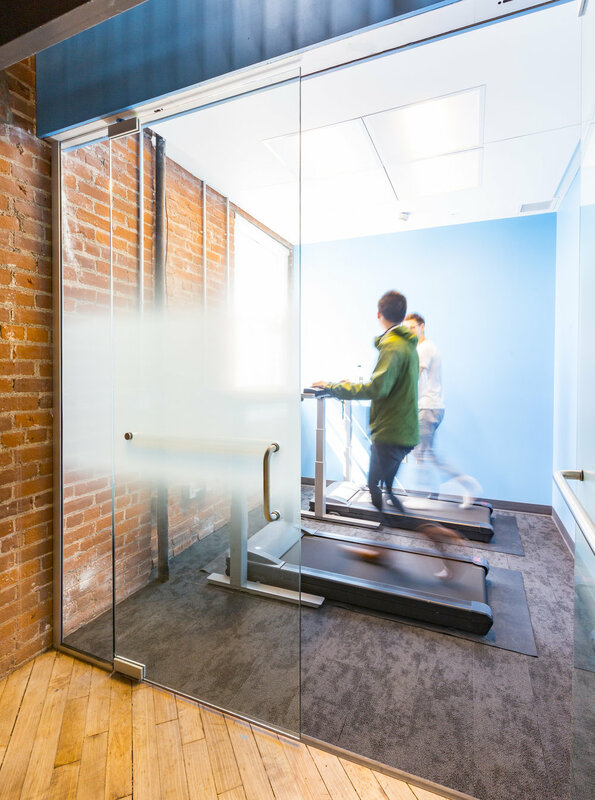 We exploited the long and narrow configuration of the former railroad warehouse to create a linear arrangement of open offices separated by a common core that includes breakout spaces ranging from phone booths to huddle rooms to conference rooms. We maintained the historic and industrial character of exposed brick envelope and wood floor structure and introduced glass room partitions to preserve the visual continuity of the spaces. The result is an open, collaborative, and playful space that reinforces the culture of their people.